The Panthers Under-18s posted their first loss of the year, going down to Norwood 13.9 (87) to 17.11 (113) at Coopers Stadium on Saturday afternoon. With five of our players in Perth for the U17s Futures Game we knew it was not going to be an easy game for us against the Redlegs. A slow start saw Norwood lead by 22 points at quarter time, but a hard fought second quarter enabled us to kick five goals and close the gap to 13 points by halftime. A strong start in the third quarter saw the team dominate play but inaccurate kicking at goal meant that we were unable to convert our opportunities adding only 1.7 to the scoreboard. The last quarter was a high scoring affair, with a combined total of 13 goals from both sides, but Norwood were eventual winners by 27 points. Ryan Mayes, Jack Burns and Callum Gaspari all played their first games for the club this year. Callum showed promising signs in the ruck and took some strong marks earning third best, he will be a player to watch in the future. Ryan was rewarded for a solid effort with second best for the day. Best on ground was Luke Bogle continuing his good form gathering 26 disposals and kicking three goals. 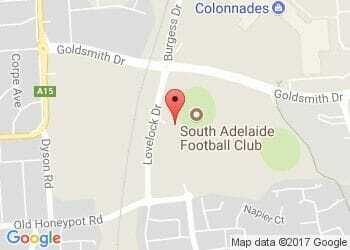 Our next game is against North Adelaide from 11:25am this Saturday at Hickinbotham Oval.